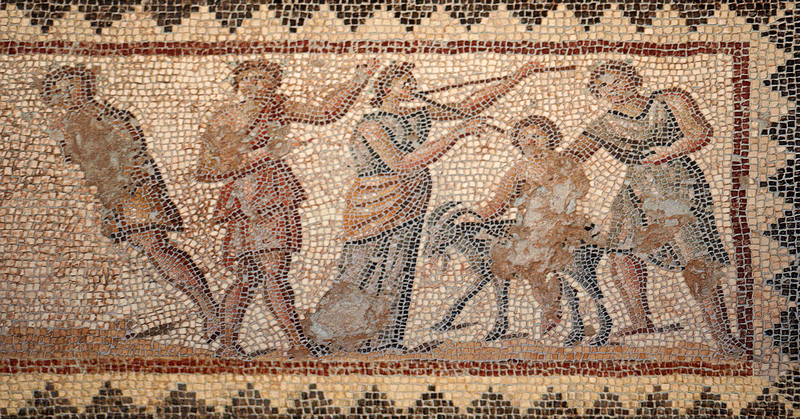 Tel Aviv is famous for the bountiful bars lining its most popular streets. Bright lights, packed patios, and the occasional disco ball hide behind every door. From October 4-11, it’s time to shift the party in a slightly different direction. With Sukkot just around the corner, why not toss those torn posters and event advertisements aside for some handmade artwork. Say goodbye to those strobe lights and hello to natural outdoor lighting as sukkah-hopping steps in for bar-hopping as all the rage. Here are five unique sukkahs worth hopping over to this Sukkot. Ever dream of celebrating the holidays with the President himself? This Sukkot, you can do just that. 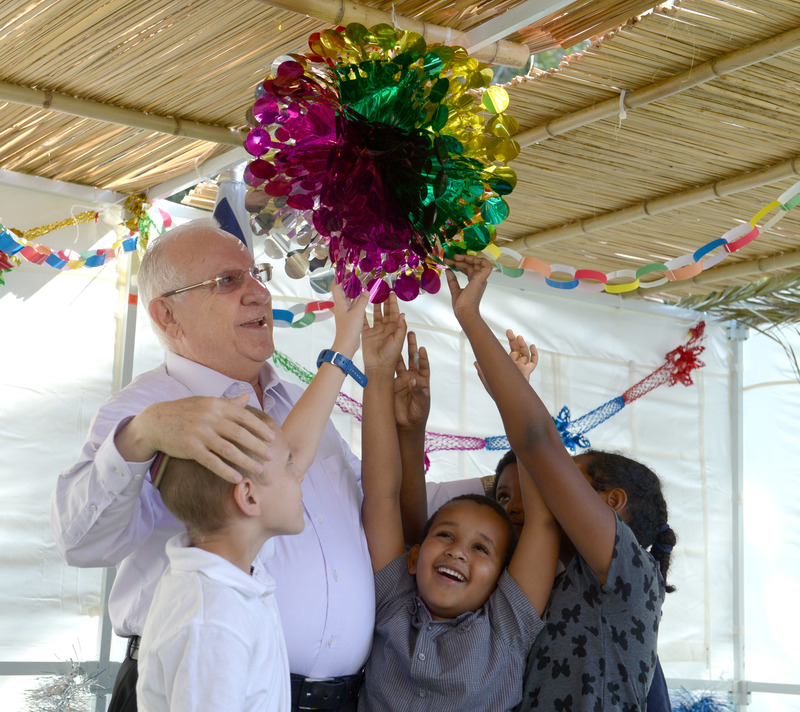 Each year since 1952, the President of the State of Israel has welcomed the public into his residence at Beit HaNassi during Sukkot. From the colorful and casual aesthetics of “environment and sustainability” to the awe-inspiring satellite displays of “science, technology and Israeli innovation,” the themes are always breathtaking and ever changing. 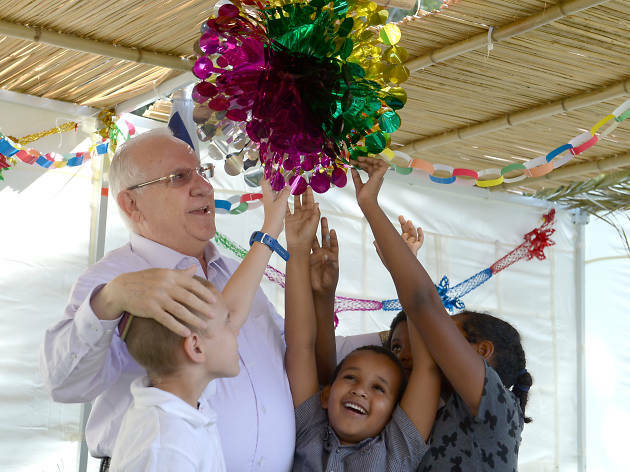 In honor of Israel's 70th year of independence, this year's theme celebrates "our brothers from the Diaspora" with a variety of activities for the entire family, including a flying Sukkah, postcards, theater performances and more, all to be held in Reuven Rivlin's garden. This event is free and open to the public. Passports required for entry. With nature and growth at the heart of this harvest holiday, the best way to pay our respects to the land is to be one with it. Slip away from the bustling streets into the serenity of the great outdoors. Last year, over 2.3 million people did just that as they escaped for the week of Sukkot to Israel’s nature reserves, forests and parks. 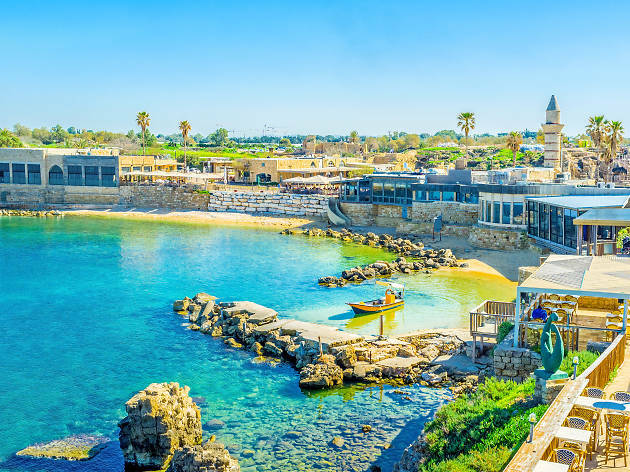 Travel through time to Caesarea National Park or wander through the mesmerizing rock formations of the Stalactite Cave. Either way, with a little creativity—and some makeshift decorations from the fallen foliage—you too can transform those tents into spectacular sukkahs and campout under the stars. 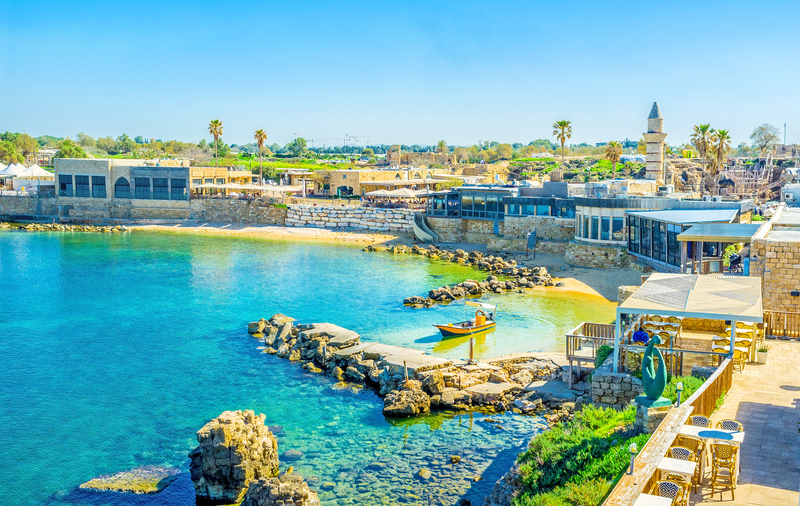 Israel has more than its fare share of spectacular views. 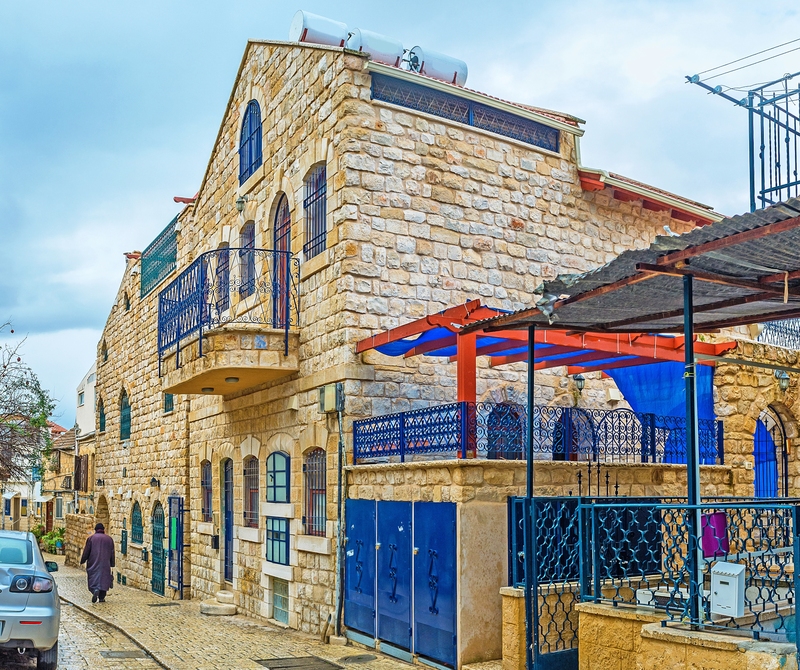 On Sukkot, visitors can enjoy these views from one of Tzfat’s rooftop terraces. 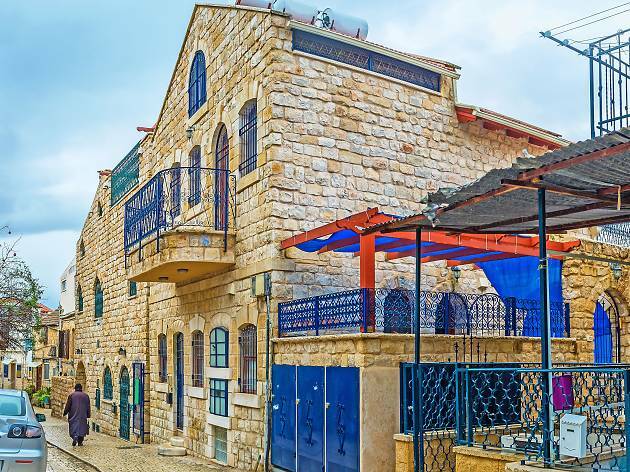 The International Center for Tzfat Kabbalah, nestled in the courtyard of the Fig Tree Gallery, is a perfect place for sukkah-hoppers. Pack snacks and scale the winding streets of the artist colony for a panoramic picnic of the Northern Mountains like no other. 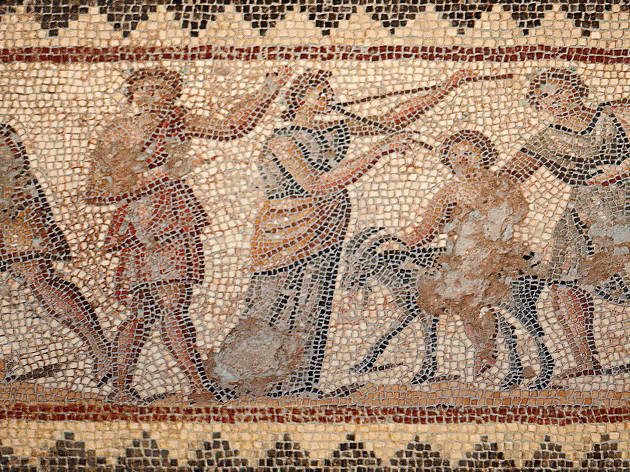 Get a taste of the unique traditions that occur outside of the Holy Land. Perhaps you won’t be able to travel this year and have decided to do-it-yourself. 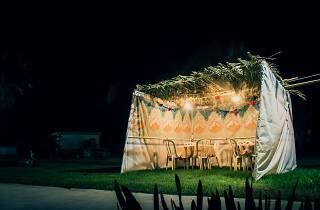 If you are decorating your own sukkah this year or helping a friend decorate theirs, photographer Eliyahu Ben Zev Alpern has come up with an out-of-the-box invention to give your traditional sukkah some much needed flare. 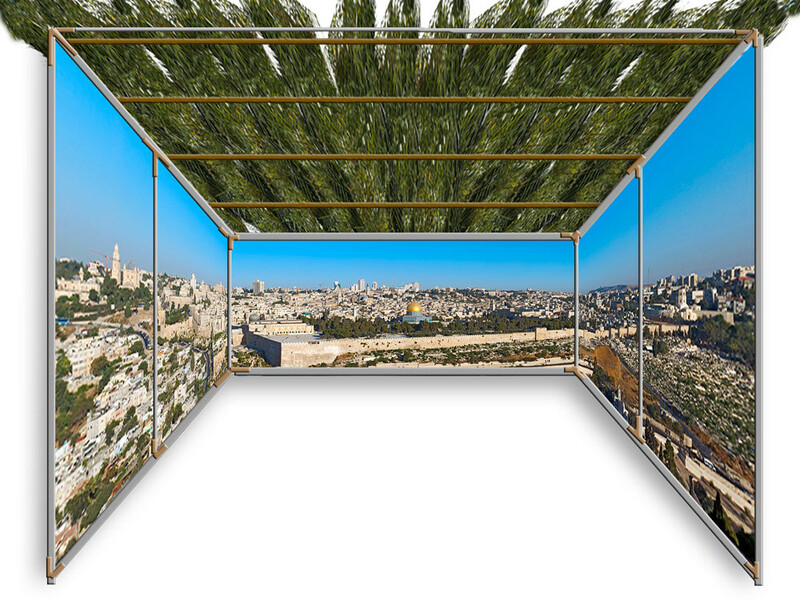 Alpern's “Panoramic Sukkah” project offers 360-degree panoramic prints of Israeli landmarks to hang inside your sukkah. Whether you choose the Golan Heights, the Western Wall, or a trip to the shuk, these prints allow you to mentally travel when you step into your handmade hut without straying from the comfort of your own home. In general, Zippori National Park is a perfect place to take your children or yourself. 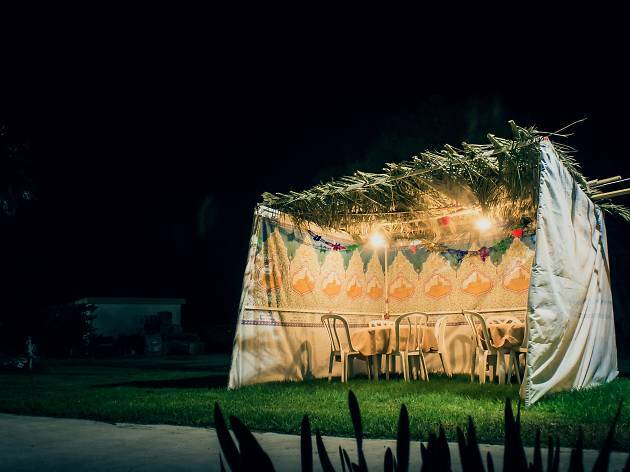 On Sukkot, the Israel Nature and National Parks Protection Authority operates a lot of Sukkahs throughout the park, which is supposed to give the visitor the feeling that he has just landed in the days of the Mishna and Talmud, and learn about the ancient Land of Israel on the way.